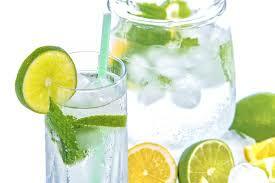 Infused waters are a great way to encourage everyone to drink more water. 3-4 L filtered water, depending on the size of your jug. Ideally you’ll need a large glass jug or bottle to make this. Mix all of the ingredients together in a jug, and let infuse in the fridge for a minimum of 2-hours before serving (you can even leave it over night). Serve over ice with an additional lemon slice if desired.